If you thought this Sunday’s moon was strong, hold on as we have 2 more to follow! This Sunday the whole world got to experience the power of a supermoon- this is when the moon appears a lot larger in the sky due to its proximity to earth. 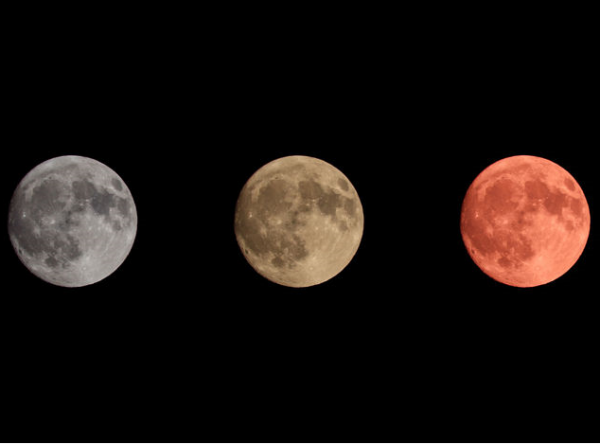 But this was no ordinary series of supermoons, it is actually the first in a trilogy. According to NASA Sunday’s supermoon is the first in a series of three consecutive supermoons which will occur from December to January 2018, with January having 2 on January 1st and 31st. Back to back full moons (also know as a blue moon) alone are rare, so this will actually be a blue supermoon, something dubbed as “extra special” by NASA. The full moon also has ritualistic status in esoteric communities being synchronized with the tidal pull of the oceans and playing a role in women’s menstrual cycles. Symbolically this represents the birthing of new ideas, the letting go of old and the ability the moon has to literally move oceans. The supermoon intensifies this energy and allows us some real space to clear out old stagnant energies and allow in the new. If you synchronize this with the new year and the 2 supermoons that will follow, we have a good window to move into the new year with a bang. You can take this time to set intentions for what you want to allow in and what you would like to release! Writing what you want to allow in and keeping it somewhere you can be reminded and burning the old energies you would like to release.
? Vegan Pumpkin Spice Scones w/ Toasted Pecans & Maple Glaze Trump Administration’s Plan For The Mexican Gray Wolf May Cause Them To Go Extinct ?